SMA connectors are semi - precision,subminiature devices that provide repeatable electrical performance from DC to 12.4 GHz with flexible cable. 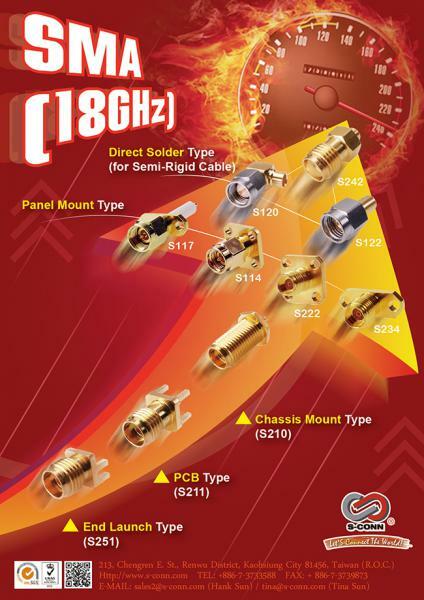 Semi - rigid cabling extends the frequency range of the device to 18 GHz. These devices offer broadband performance with low reflection and constant 50 ohm impedance. 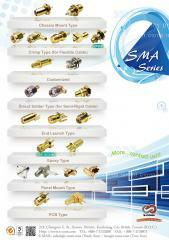 These properties, along with minimum attenuation and low VSWR have made the SMA extremely popular in the microwave community. The SMA design has been broadened to accommodate many interconnect requirements and is available in pressure crimp, clamp and solder terminal attachments. SMA design parameters have incorporated the considerations of balancing cost, size, weight and performance to yield the best value in your microwave system. Among typical applications are components such as dividers, mixers, amplifiers, trimmers and attenuators. 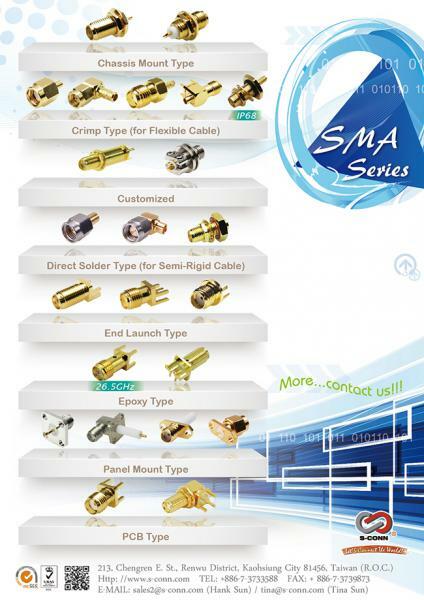 SMA connectors are also used to provide interconnections from printed circuit board stripliness to coaxial cable.